I remember an online conversation I had about rum several years ago with Ed Hamilton, founder of the Ministry Of Rum and one of the titans of the modern rum movement. After blathering to him about my enthusiasm for the category and mentioning a few of my favorites at the time, he simply said something to the effect of, "You've got a lot to learn." And it's true, I did. I loved rum and was passionate about it, but I knew about it on a superficial level, the same way someone who listens to Top 40 and has a few Miles Davis albums "knows" about music. I've learned a lot since then, and I think a lot of rum lovers have learned a lot, too. I was a fan of Plantation rums then, and I'm still a fan today. Run by the same folks who own Pierre-Ferrand Cognac, the brand has been known for its globally-sourced bottlings of single-vintage rum, from hotspots like Barbados and Jamaica to less well-known locales like Guyana and Fiji, which are finished in their own cognac casks. When I started following Plantation, they didn't spell out a lot about where or how the rums were distilled. I also didn't know that, in most cases, sugar was added to the rums post-distillation. I don't think it's because Plantation had anything to hide. Ten, even five years ago, rum drinkers were a lot less obsessed with the minutiae of what they were drinking. If we knew which country it was from and what year it was distilled, well, that was a lot more than we knew about rums from bigger and better-known brands. And the added sugar, or "dosage," was never really discussed. We knew a lot of rums had those mouthwatering banana/coconut/vanilla notes but didn't think too much about how they got there. Again, Plantation wasn't hiding anything as far as I know, but I don't think a lot of people were asking the questions for them to answer. One thing I love about Plantation and its founder, Alexandre Gabriel, is that they understand the evolution of today's rum geek. Rum drinkers have become more like whiskeyphiles — sophisticated, knowledgeable, and placing a lot of value on transparency. 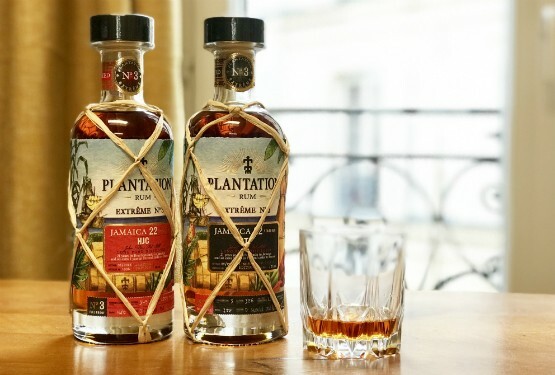 So Plantation isn't just more forthcoming about the dosage in their permanent lineup, but they're also releasing new rums au naturel, at cask strength, with no additives of any kind, and they're forthcoming with the details about each rum's provenance. The third edition in their "Extreme" series is a case in point, or rather, two cases in point. The Plantation Extreme No. 3 Collection (bottled at cask strength; $250 each) features a pair of rums from Jamaica's famed Long Pond distillery., which was shuttered for several years before being partially acquired by Plantation and reopened in 2017. Alas, the distillery gained even more fame last summer when a fire destroyed its fermentation vats and approximately 65,000 liters of rum, although the stills survived the blaze. The rums in the collection were both distilled in 1996 and aged for 21 years in ex-bourbon barrels before a year of finishing in PIerre-Ferrand cognac barrels in France. For rums distilled at the same time in the same distillery, HJC and ITP, as they're known, are quite different animals. The secret's in the esterification, or the chains of molecules that can make a rum taste like anything from pineapples to puke, depending. The HJC, bottled at 56.2% ABV, is dry and funky, with earthy, vegetal notes known as "hogo" in Jamaican rum lingo, and a lingering, woody finish. For rum drinkers who are used to the sweet stuff, it's an eye-opener, and not always a welcome one. It's the rum equivalent of a peated Islay whisky — not everyone likes it, but those who do absolutely adore it. The ITP (54.2% ABV) is also rather earthy and funky but with rich, fruity overtones, notably mango, and the cognac influence coming through on the finish. It's a challenging rum, but probably a more palatable gateway for the novice rummy. There are a lot of thrilling rums belatedly gaining attention in the States and serving as a counterweight to the Bacardis and Angosturas that dominate the rum world, from the likes of Foursquare, Caroni, and La Maison Velier, to name a few. Plantation is up there with the best of them, releasing rums to tempt the palates of drinkers across the rum spectrum. As far as my rum education goes, I feel like I've grown up with Plantation. Judging from these two delicious expressions, they're still evolving as well..